Artdeco, Beauty is an Art therefore it has more than just makeup collection. 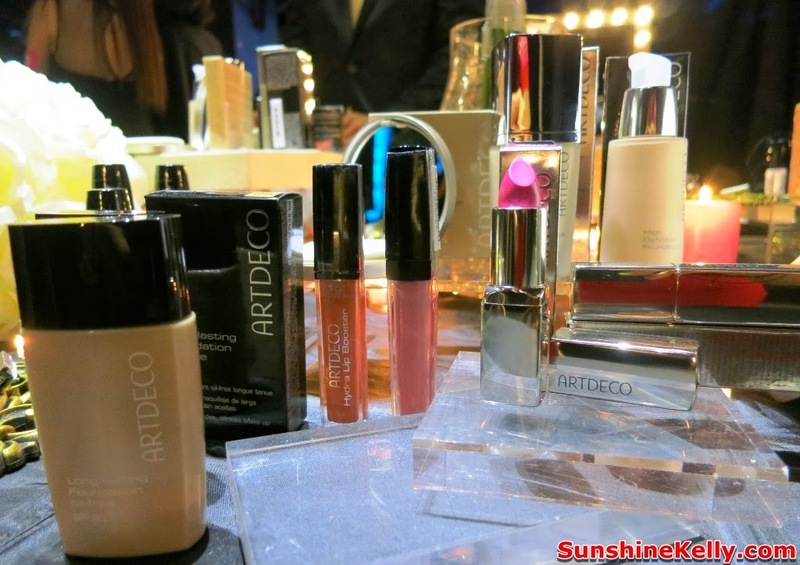 The new cosmetics brand from Germany that was introduced, Artdeco Cosmetics in Malaysia. It focus on the needs of women, combined with uncompromising quality and very reasonable pricing. It’s unique with it variety of refillable products that you can combine however you please. Artdeco Cosmetics containers of eyeshadows and blushers all have magnets in the base so you can combine your favorite colors in the Beauty Boxes and change them as you please. Refills are also available for lots of other products. Artdeco has a complete range of most fashionable make-up products, from high end makeup, over a diverse selection of lipstick, lipgloss, lipliner, lip balm, eyeshadow, eyeliner, mascara, eye brow color, eye shadow base, eye lashes, eye makeup remover, foundation, face powder, concealer, camouflage, blusher, bromzer, makeup base, nail color, nail care, makeup accessories and many more. These are some of the interesting special products of Artdeco for perfect make-up: camouflage products, lipstick fixative and Eyeshadow Base are just some of many products that will make your make-up more even, last longer, and more professional than ever before without too much investment. Left: Elynn Leong, Senior Marketing Manager; Alice Lau, Director of Category Management & Product Development; Amber Chia, Malayisa Top Super Model; Corina Loi, Sa Sa Senior Vice President & Country Head; Derek Grillo, ARTDECInternational Make Up Artist & Head of International Training; Anna Blasco, Artdeco Vice President Marketing; Low Yew Meng, Director of Finance and Administration on stage officiated the launch of Artdeco in Sa Sa Malaysia. 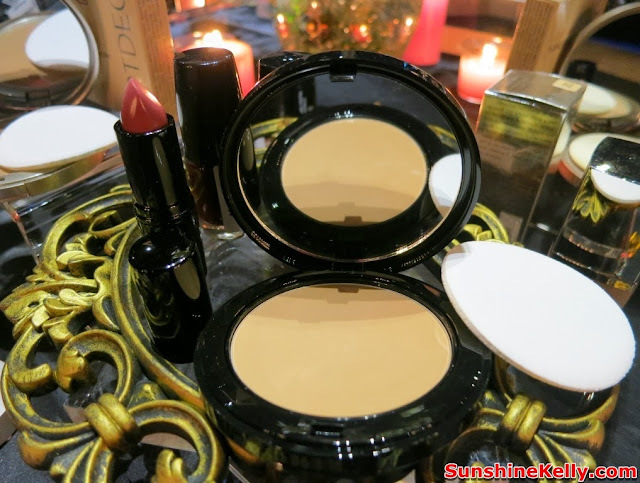 Currently I am using the Artdeco Pure Minerals Foundation #3 Soft Ivory now. It gives a natural look with satin feels and moderate coverage. The price is quite affordable for 15g its RM99. It do not cause my T zone to look oily after midday and there is no break out after I use them. This color is suitable for my skin tone. Mineral based foundation will not clog up the pores or leaving your face looking like a mask it consist of more than 98% of pure, high quality minerals such as zinc, magnesium, potassium, and sodium, which means they are particularly well tolerated by the skin and it does not contain no talcum, wax or oil. You can try and test Artdeco cosmetics and its available exclusively at Sa Sa Malaysia. 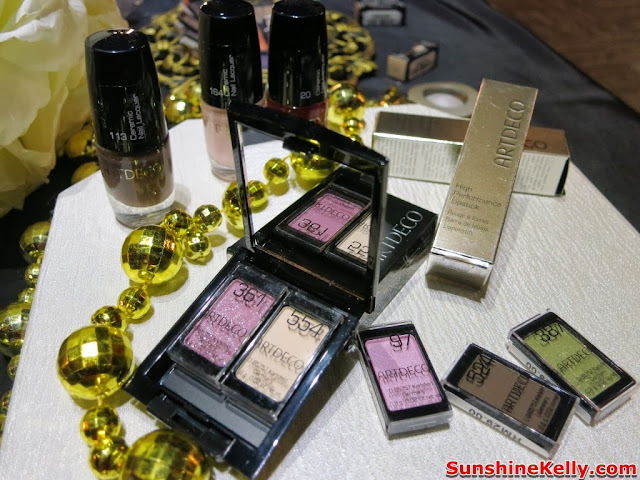 For more information about Artdeco Cosmetics in Malaysia please visit Sa Sa Malaysia Website and Facebook Page.